Pilates teaches students how to prevent injury and target pain and muscle-tension by building a strong core, increasing flexibility, and using props such as blocks, balls, and foam rollers to stretch and self-massage. The tools that you learn in these classes will improve your everyday life and add range and balance to your dancing. “This is what we dreamed about back in the day, when people made fun of us and called us pretzels,” Irini Res says about the massive growth in yoga. 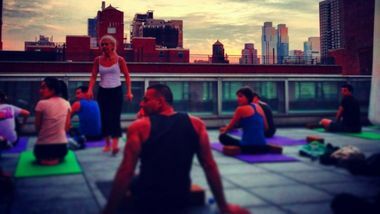 The Ashtanga Yoga teacher at the Upper West Side's Ailey Extension took up the practice after battling breast cancer in 1996, which took her out of the high-powered career in banking she never stopped to realize wasn’t making her happy. When hip-hop Russell Simmons impresario Russell Simmons says something is hot, people tend to listen. 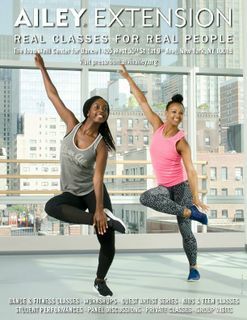 Briana Reed, 32, Alvin Ailey American Dance Theater: Yoga helps me with life on the road.